When you decide to remodel the kitchen in your Safety Harbor, Florida, home, turn to KitchenAlity for outstanding products and fixtures, top-notch renovation services, and customer service that is second-to-none. Our team is dedicated to helping homeowners throughout the Tampa Bay area tap into the potential hidden in their old, tired, and generally unattractive kitchens to realize something entirely new and vibrant. 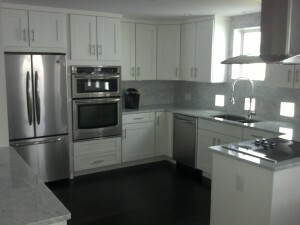 For each kitchen remodel that we complete, we take a highly personalized approach. To us, remodeling a kitchen is less about installing new cabinetry or replacing a scuffed up floor and more about giving your kitchen a touch of personality that shows off your sense of style. For additional information about the professionals at KitchenAlity and the array of kitchen remodel services that we can extend to you in Safety Harbor, FL, please contact us today. A member of our team will be happy to meet with you, in your home, for a kitchen remodeling and design consultation and to get a better understanding of your specific wants and needs.